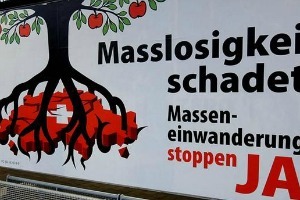 The Italian-speaking Swiss canton of Ticino voted decisively yesterday (25 September) in favour of tougher controls on foreign workers. The European Commission deplored this development, which arrives at a time when a solution is sought to keep alive the EU-Switzerland Agreement on the Free Movement of Persons (AFMP). A campaign initiated by the ultra-conservative Swiss People’s Party (SVP) won 58% of votes in a referendum in the canton bordering Italy. The referendum presented voters with the choice of whether to favor local workers over foreign ones “with the same professional qualifications”. Although referendums in Switzerland are meant to be binding, the vote could be merely symbolic, as the cantonal government could lack the powers to implement such a policy. 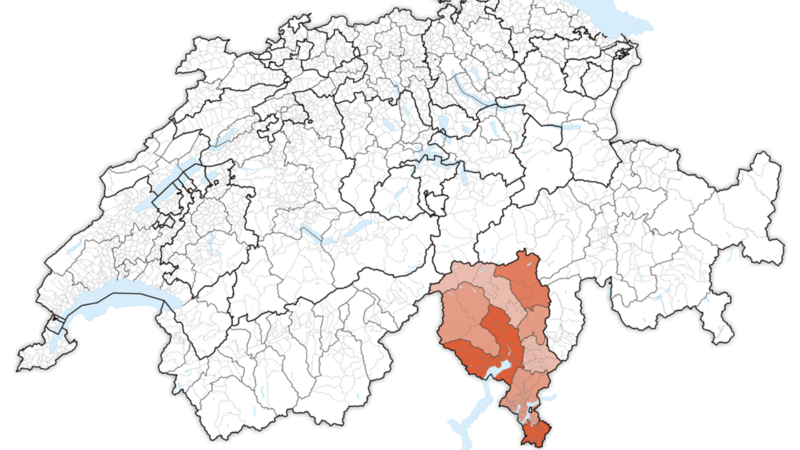 Mostly Italian foreign workers are employed in Ticino. Italian Foreign Minister Paolo Gentiloni today tweeted that the vote doesn’t have a “practical impact” for now, but that without the free circulation of people, the relationship between Switzerland and the EU is “at risk”. Berne and Brussels are still at loggerheads over how to implement a 2014 Swiss referendum for immigration quotas that would violate a bilateral pact guaranteeing freedom of movement for EU workers. If Switzerland does act unilaterally by introducing immigration quotas, the EU could decide to scrap the existing bilateral accords. 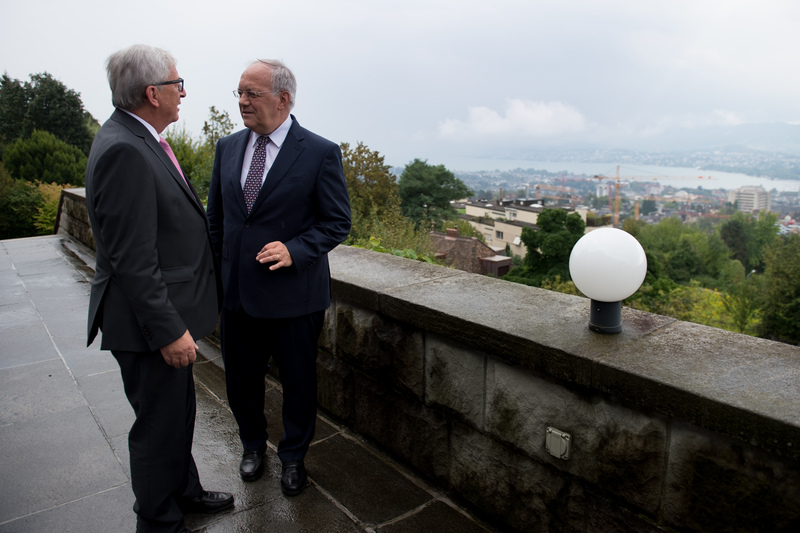 On 19 September, European Commission President Jean-Claude Juncker met with Swiss President Johann Schneider-Ammann in Zurich in an attempt to reconcile Switzerland’s 2014 referendum with its agreement with the EU on free movement of persons. Switzerland’s future agreement on free movement with the EU, depending on the form it takes, could offer the United Kingdom a precedent to lean on in its own Brexit negotiations, writes Strafor. The Commission deplored the vote. Asked to comment, European Commission chief spokesperson Margaritis Shinas read from a prepared note, stating that the Ticino referendum “will not make the already difficult EU-Swiss talks on freedom of movement any easier”. “We take note of yesterday’s vote in Ticino, which we understand still requires approval by the federal government. The EU and Switzerland have been in intense talks for months now to find a solution on how to implement the Swiss popular vote on free movement, in a way that respects the country’s obligations under the free movement agreement. Schinas said that following Juncker’s visit to Zurich on 19 September and his meeting with the Swiss president, the two sides had agreed to continue working for a solution acceptable to both sides, and to meet again at the end of October. “This will be the next step, and another opportunity, to address yesterday’s vote and its potential consequences”, Schinas said. Of course the unelected European politburo hate the result of the referendum, they loath the will of the people. Hmm ..equally like the UK (Brexit) which ended the free movements of E.U. workers (see migrant referundm) to Swiss have ended the free trade in the single market ! Naughty naughty voters! Again not doing what the wise, all-knowing, infallible Commissioners want and instruct them to do. Perhaps the EU Commission should abolish Switzerland, ‘cleanse’ the population and have it repopulated with androids programmable to their wishes.